Twenty-times Champion Jockey Sir AP McCoy, certainly had to wait a long time for his first Grand National success - finally prevailing at the fifteenth attempt in 2010 when riding Don't Push It for Jonjo O'Neill. 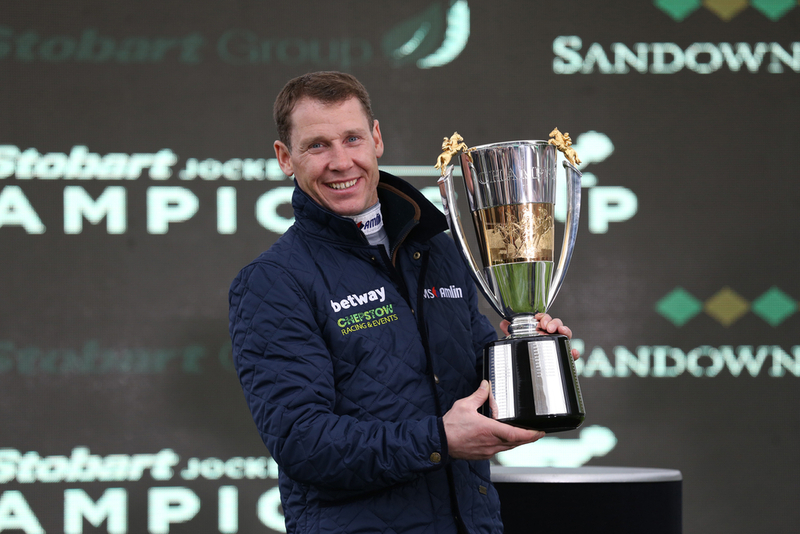 Current Champion Richard Johnson however has been forced to sit even more patient, as he looks to end his Aintree duck on the twenty-first occasion next week and feels his best career chance lies with Rock The Kasbah. Kasbah - owned by Diana Whately, has been aimed at the National for the most-part of the season after a striking success in the Grade Three BetVictor.com Handicap Chase at Cheltenham earlier in the season. The nine-year-old then took top weight to sixth in a similar Grade Three at the same venue, and has been kept away from the racecourse since December in an attempt to maximise his prospects. A sort that produces his best performances when fresh, also appreciates the good spring ground forecast and Johnson believes the horse cannot be discounted on that basis. (Credit: Racing Post) Johnson said: "We've thought Rock The Kasbah was the right horse for the job pretty much all season. "It obviously won't be easy but he won from not far off his Aintree handicap mark two runs ago and I think he's at the top of his game. "Tiger Roll is obviously the one to beat but I feel we have a winning chance – although I'm sure on the day 40 jockeys will think they do, too." The three-time Champion Jockey - who may have gained further success if it was not for the exploits of McCoy, has had a troubled record in the world's greatest steeplechase. He unseated Celtic Abbey at the Chair on his first start back in 1997, before his mount fell in three of the four years after that. The 41-year-old has only managed to complete the course six times in the last twenty years. His best result saw him finish second aboard What's Up Boys in 2002, which was matched by Balthazar King's efforts five years ago. Rock The Kasbah can be backed at 25/1 for the showpiece event next week, meaning he is the shortest price of the British challengers excluding the Trevor Hemmings-owned pair of Vintage Clouds and Lake View Lad - who were the second and the third in the Ultima Handicap at the Cheltenham Festival. Johnson added: "If he can reproduce the form of his win at Cheltenham he must have a live chance. His following race probably came a bit too soon, as he has always been definitely best fresh, possibly because he puts a lot into his races. "He has been kept back since that race in December and trained for the National. He could have gone to the festival but we felt that was too close to Aintree. "Kasbah ran well to be second in the bet365 Gold Cup last year over three miles and five furlongs and then won over nearly three and a half miles at Cheltenham, so I can't see why he wouldn't get the trip. "He is a good jumper but also sensible with some self-preservation, which helps, and Philip's horses are in great form. "Compared to some in the race he also still has room to improve. There's more to come from him. He wouldn't want the ground to be too soft but looking at the forecast that doesn't look likely, which is helpful", he said. Rock The Kasbah is due to carry 10st 9lb but that will rise by 4lb if Cheltenham Gold Cup third Bristol De Mai is not declared.